In our Lessons in 2D Game Design series, we take a look at seminal games that established core mechanics and design sensibilities still in use in modern 2D game design. These are games that defined entire genres, inspired generations of developers, and helped shape the way we think about 2D gameplay to this day. As such, they serve as excellent case studies and offer numerous lessons in game design basics. Super Mario Bros. stars Mario, and optionally his brother Luigi, on a platforming adventure across the Mushroom Kingdom to defeat a terrible monster and rescue a kidnapped princess. 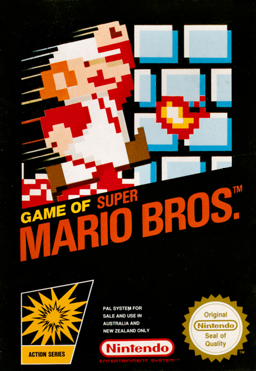 While many games of the era offered endlessly repeating levels, this game features 32 levels across a variety of environments that are divided into eight worlds with new hazards and enemies to be found along the way. While the formula has continued to be altered and improved in the decades since this original release, even today Super Mario Bros' World 1-1 remains a quintessential study in platformer game design, and there are plenty of other lessons to be had as well. Read our Lessons in 2D feature here. 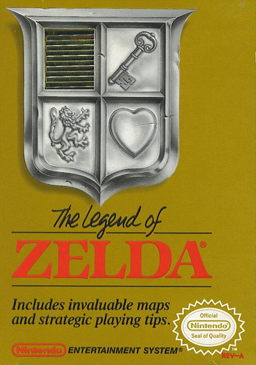 The Legend of Zelda stars Link on a quest across the land of Hyrule to gather up the pieces of the Triforce of Wisdom, defeat Ganon, and rescue Princess Zelda. The game is notable for dropping the player into an open field with no direction outside of the hints offered in the instruction manual, and giving the player the freedom to travel almost anywhere in the world from the start of his adventure. This nonlinearity allows players to explore the world freely, experiment with puzzle solutions, discover hidden areas, and even skip entire dungeons... at the risk of becoming hopelessly lost. As a result, later genre entries tend toward a more linear approach, with open world designs being further honed over the years to offer more overt player-guiding designs.